History: In his last will and testament, Colonel Thomas W. Swinney decreed that the land on which he had built his majestic home in 1844 should be given to Fort Wayne for the benefit of the entire community upon the death of his three daughters who were to inherit the property. In 1893, the City entered into a thirty-year lease agreement with the Swinney daughters for use of the land. The lease terminated in 1923 only a few weeks after the death of the last surviving daughter, and the City finally took possession of the land. Swinney is actually two separate parks, West Swinney and East Swinney. 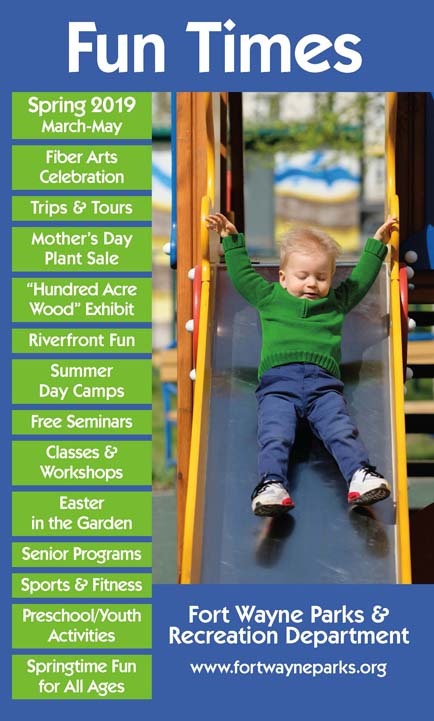 In addition to being one of the City's finest parks, Swinney Park has also served as the site of the annual Allen County Fair and as the site of Trier's Amusement Park. From a period of 1920-1953 various organizations leased West Swinney Park and operated an amusement park. 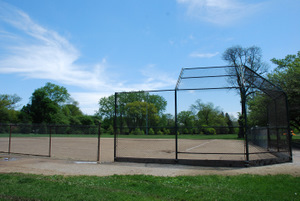 The first proprieter was George F. Trier who leased the land from 1920-1940 and thus the name Trier Park. In 1953 the Park Board decided to turn the park into a more typical park and cease the concession operation. Colonel Swinney's beautiful home itself was originally a twenty-three room Federal style structure that was converted to a Victorian Italianate by his three daughters. 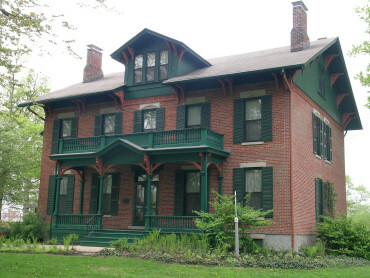 In 1926, the Swinney House became the home of the Allen County-Fort Wayne Historical Museum and the museum remained there until 1979 when it was moved to its current location on East Berry Street. It was at that time the Old Fort Settlers, Inc. entered into a lease with the Fort Wayne Parks & Recreation Department and are still occupying the homestead. 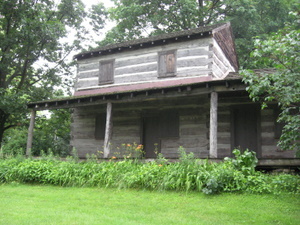 In May of 1981, the property was added to the National Register of Historic Places. Scroll down for more information about our park features. 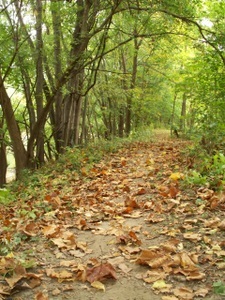 The West Jefferson Trail is part of the Rivergreenway. This 1.11 mile pathway begins in at the St. Mary's River Pathway just southeast of the swimming pool and runs West through West Swinney Park and then adjacent to West Jefferson Boulevard and in to Rockhill Park. Both East and West Swinney have a playground. West Swinney is home to a beautiful Floral Display. 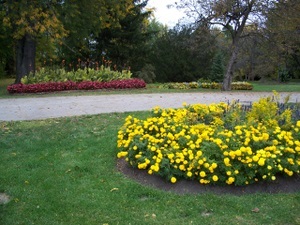 Jaenicke Garden is a peaceful destination full of beautiful trees under-planted with unusual annual flowers. 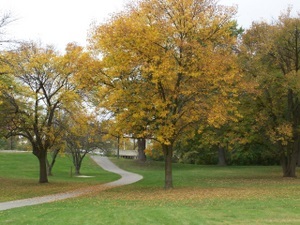 Swinney Park, both East and West, has plenty of natural open space to find a quiet spot to visit nature in the midst of a bustling city. Tennis courts are open to the public on a first come, first served basis or can be reserved by calling Daryn at 260.427.6003. The courts were resurfaced in 2015! Both East and West Swinney have Disc Golf Courses available. 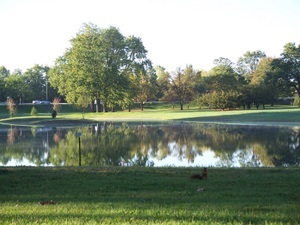 At East Swinney the course wraps around the Swinney Pond and along the St. Marys River and is a mostly open course. West Swinney Plays along the river and around a pond with small hills and large trees. The Swinney Japanese Pavilion is available for rental during the season. 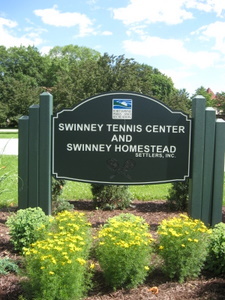 Swinney Homestead is maintained by Settlers Inc. and open during public events they schedule.